Jarred, Ho and I went up to Cascade Creek (aka Lava Lake) Saturday morning/afternoon. It ended up being our most productive day there so far. We put up 8 new lines ranging from V0 slab to V9 dyno. 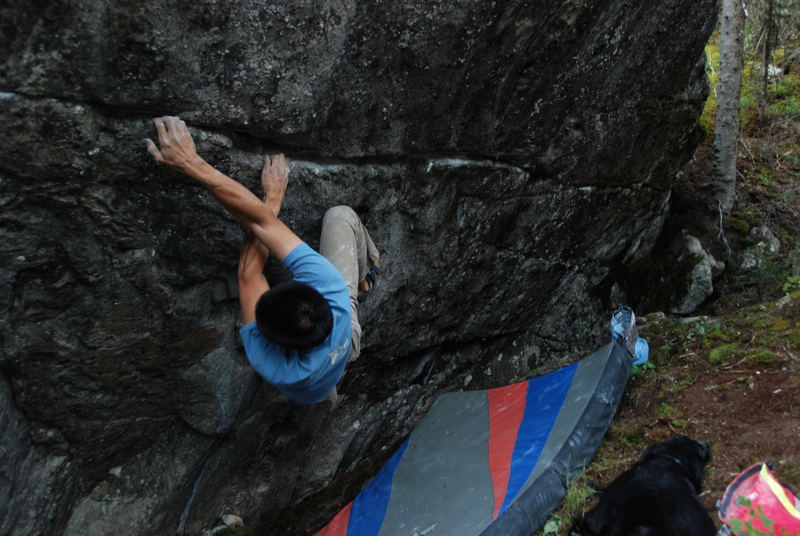 The V9 was one that Ho basically did last trip out, but he couldn’t top it out because of rain. Jarred also sent a couple of the established goodies such as “Space Ghost” and “Lava Lunge SDS”. Jarred trying another possibly new problem that Ho did. There were some lower holds that were definitely previously cleaned on this one, but it’s hard to tell if it was ever topped out. 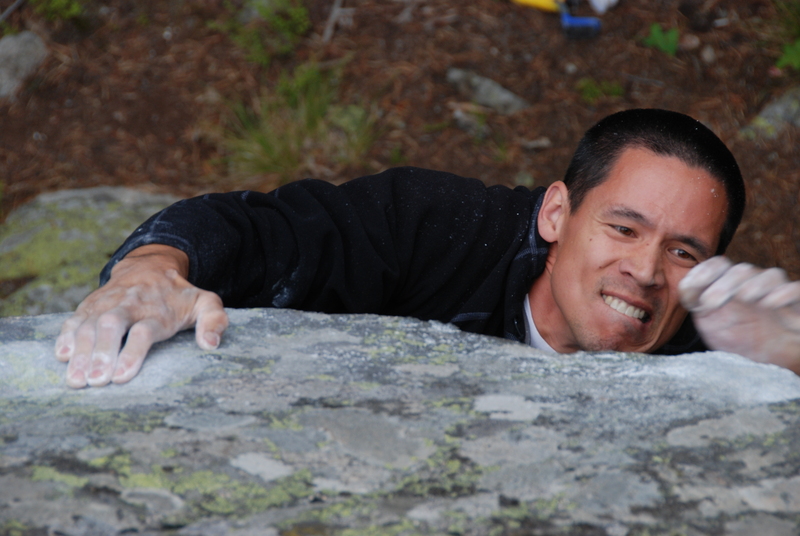 Lastly, I hope everyone is going to the Lost Horse Climbing Festival, it’s gonna be fun! 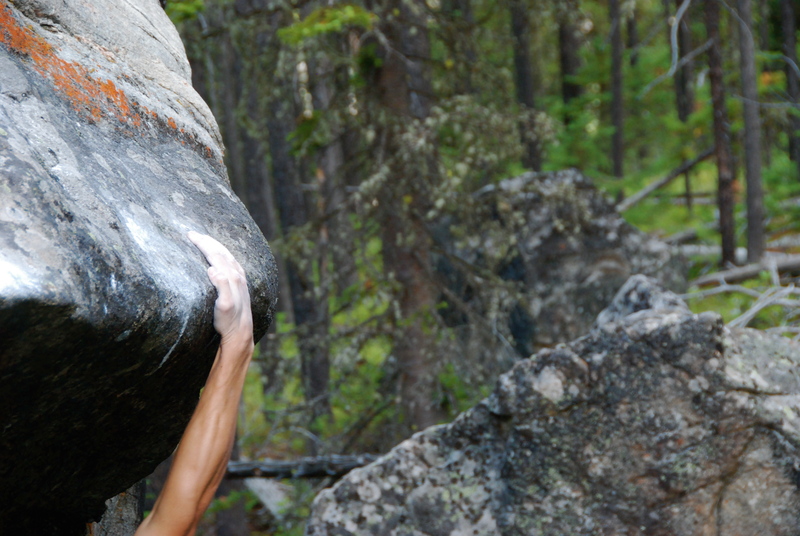 Lost Horse has some of the finest bouldering in the state so even if you’re not competing it’s still a blast. See ya’ there! Ho, Holmer & I went up to Cascade Creek Saturday morning. All was well until about noon when the rain came. Luckily one problem got put up on the Haunted Mansion boulder before everything got too wet. 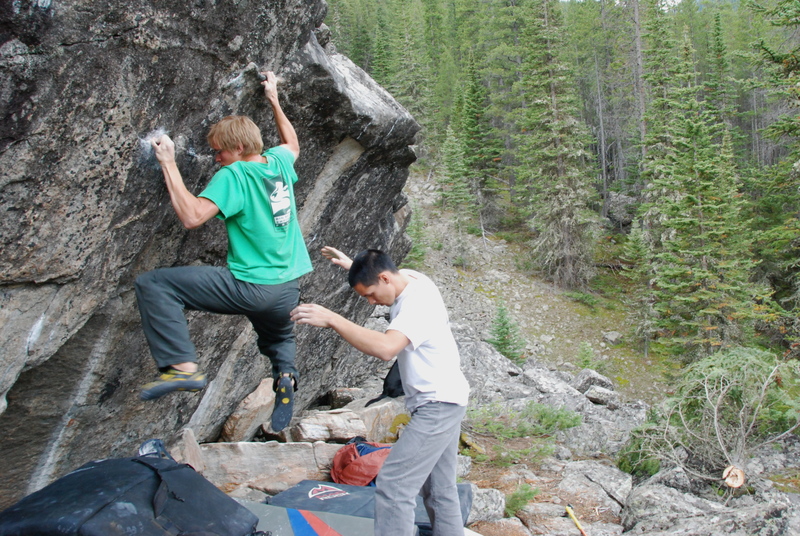 Both Ho and Holmer climbed the new V6-ish line that was pretty good. 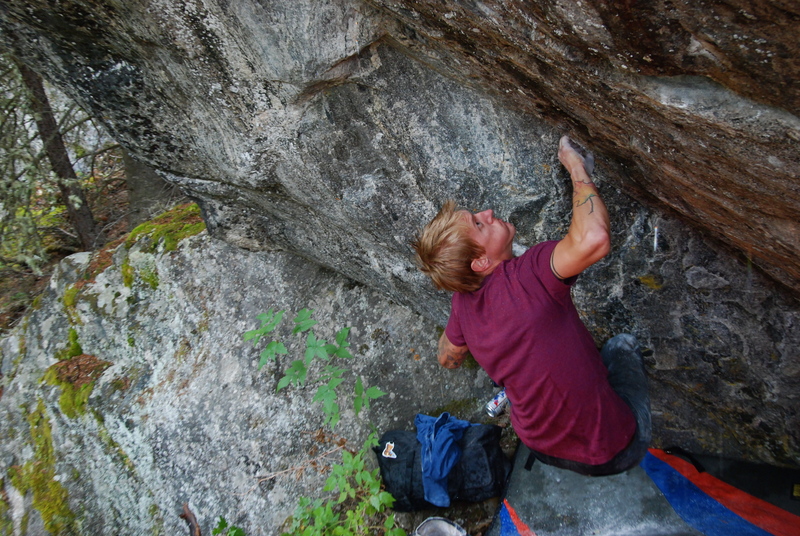 Ho also did a crazy dynamic problem, but wasn’t able to top it out because of the rain. Next time out it should go down. We huddled under the huge (blank) overhang of the Haunted Mansion for a half hour until the rain and hail passed. Unfortunately, just about everything was soaked so we headed down to the Lava Pit where Holmer made quick work of the Lava Lunge SDS. We cleaned and tried another new problem just below the Lava Pit that was dry due to a well placed tree, but it didn’t go down. Here’s the photos. 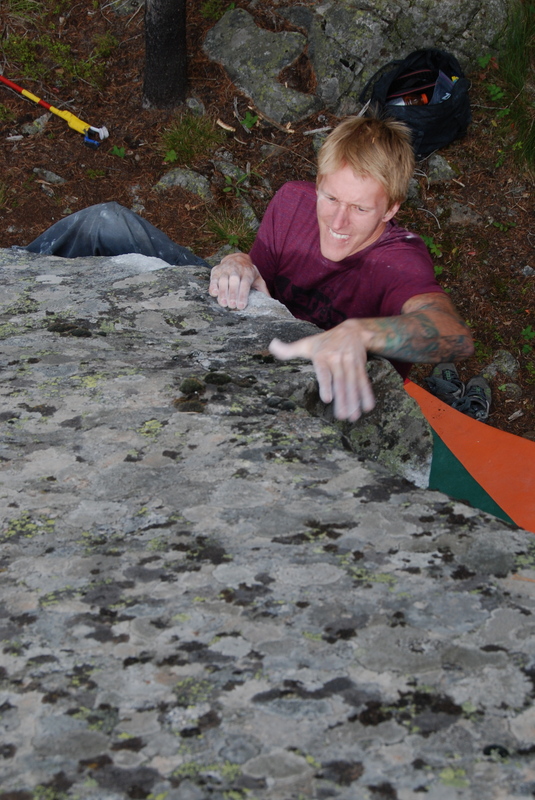 The first two are the new V6 that Ho put up and the third is Holmer just before sending the Lava Lunge SDS (V7). I was hoping to make it to the Hollowtop Valley on Wednesday, but it may be snowing up there so who knows. I don’t mind hiking around in the rain/snow, but I have no idea how that road will fair in crappy weather. Wish me luck.